The Knox Layering System allows you to pick the right jacket for your style, both on and off the bike. The outer jacket is a shell without armor which means it is lighter and more versatile. It has a secret zipper under the arms, so the jacket resizes and is always the right size, wearing the armored shirt underneath or not. Why wear an armored shirt? When you wear armor in a close fitting armored shirt, it will stay in the right place. It will be lighter and comfier too. Wear the armored shirt and jacket together when riding, or just the jacket by itself for all those other off-bike moments. Either way, you look fantastic. 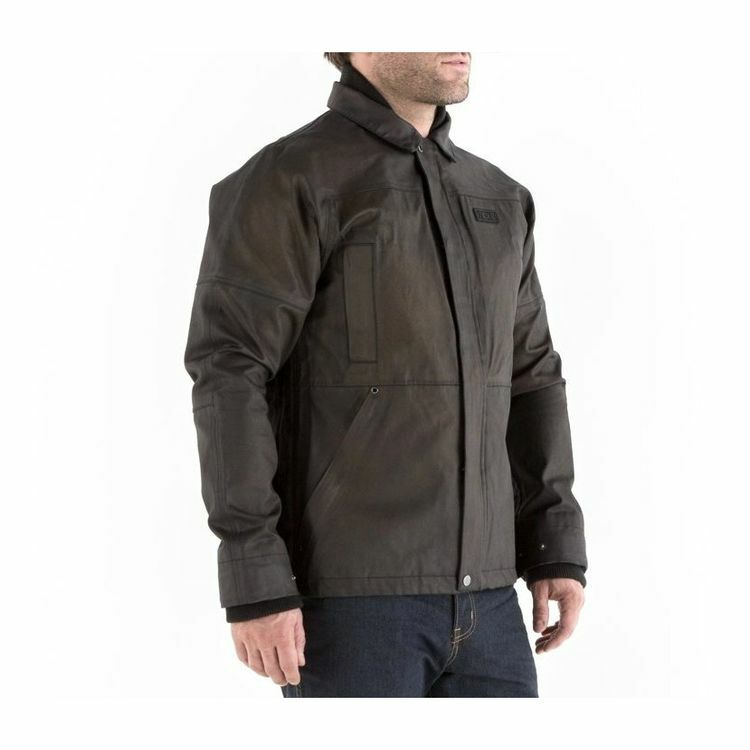 The Knox Leonard Wax Jacket is a modern take on a classic and is made of a high performance membrane with fully taped seams making it 100% waterproof. The Leonard comes equipped with 4 exterior pockets, 1 internal pocket for storage, YKK coil and Aquaguard zippers throughout.